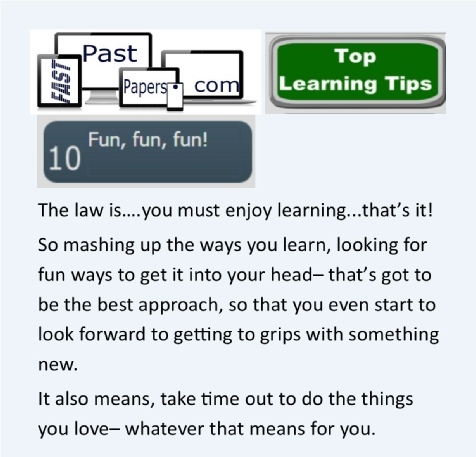 The law is….you must enjoy learning...that’s it! 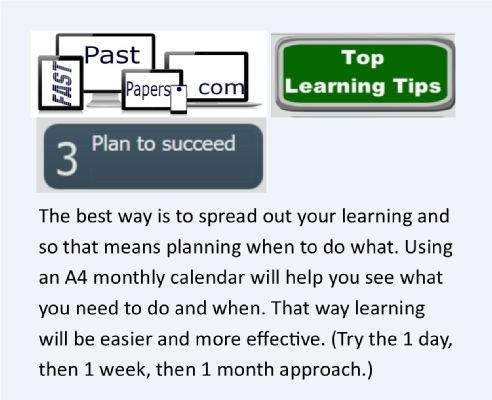 So mashing up the ways you learn, looking for fun ways to get it into your head– that’s got to be the best approach, so that you even start to look forward to getting to grips with something new. It also means, take time out to do the things you love– whatever that means for you. 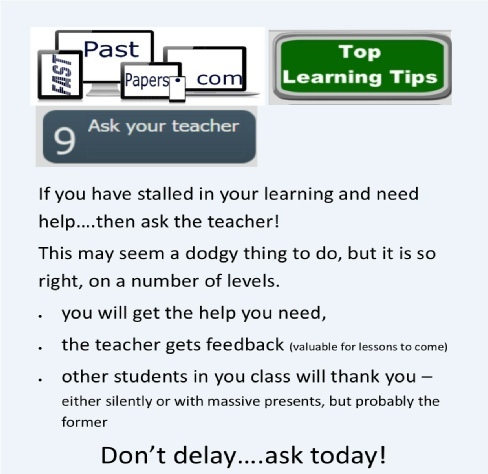 If you have stalled in your learning and need help….then ask the teacher! This may seem a dodgy thing to do, but it is so right, on a number of levels. subject and you can swap roles and double the effect of this method. 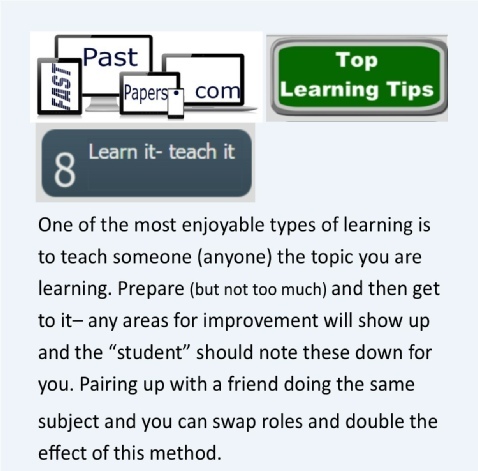 To stay focused, you must vary your approach to learning. 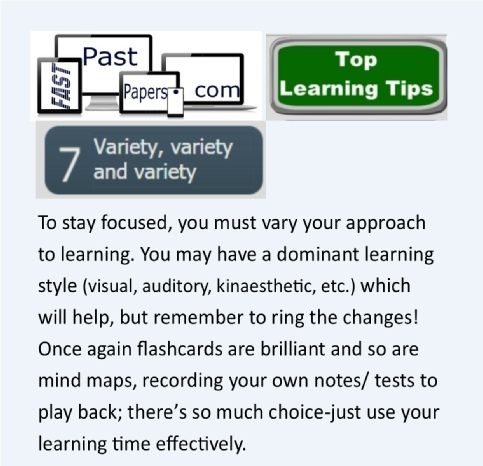 You may have a dominant learning style (visual, auditory, kinaesthetic, etc.) which will help, but remember to ring the changes! 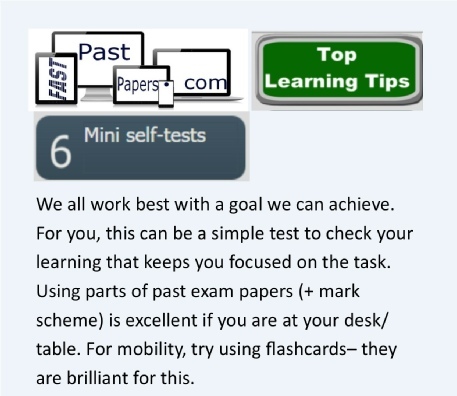 Once again flashcards are brilliant and so are mind maps, recording your own notes/ tests to play back; there’s so much choice-just use your learning time effectively. 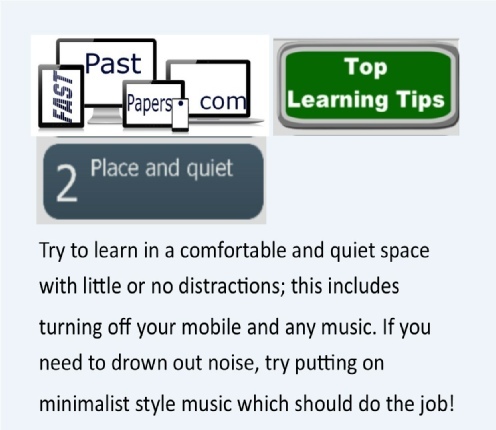 minimalist style music which should do the job! 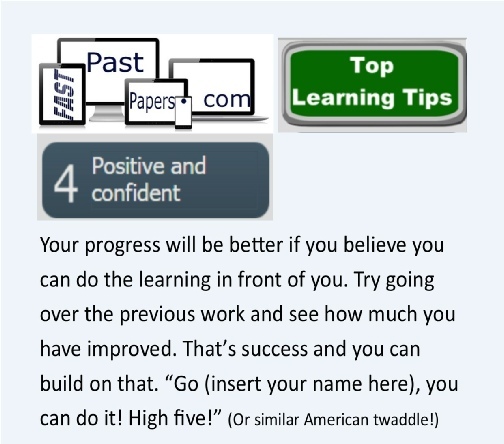 This is the top tip because all of your learning depends on having your body and mind “comfortable”. 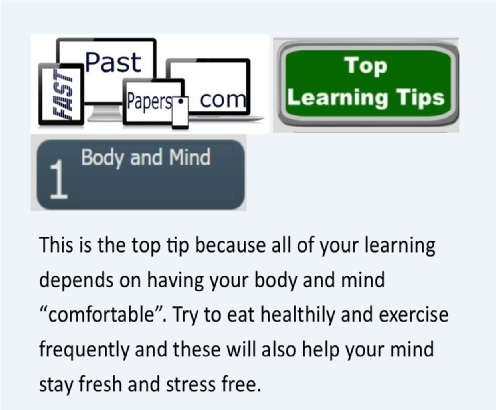 Try to eat healthily and exercise frequently and these will also help your mind stay fresh and stress free.